Wait…why is it snowing?! It looks like a flurry outside, which I guess is cool, since I am inside. But this past weekend was gross. I mean, I do like the rain, believe it or not, but not the freezing kind where it feels like pelting frozen rain drops. I know that frozen rain drops are scientifically called hail, but it wasn’t. And if you think trees are the best place to hide under while it is raining or snowing… your wrong. It is much worse! It feels like it is raining twice as much, and twice as hard. But who cares? I really wish I did not care, since I would be blogging about something far more important, like hmm.. Sorry! I just got distracted by the snow. LEGIT. Um, well. I forget what I was going to say, so I guess that means you’re in luck. Trust, I shall be back. 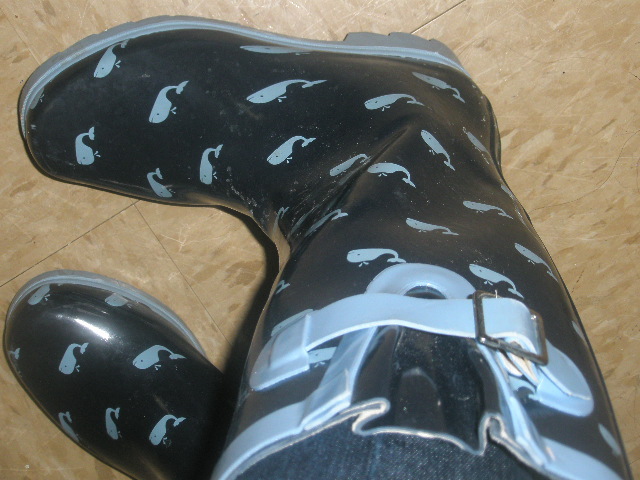 I love navy, rain, boots, and whales. A combination of all 4 are in my rainboots! 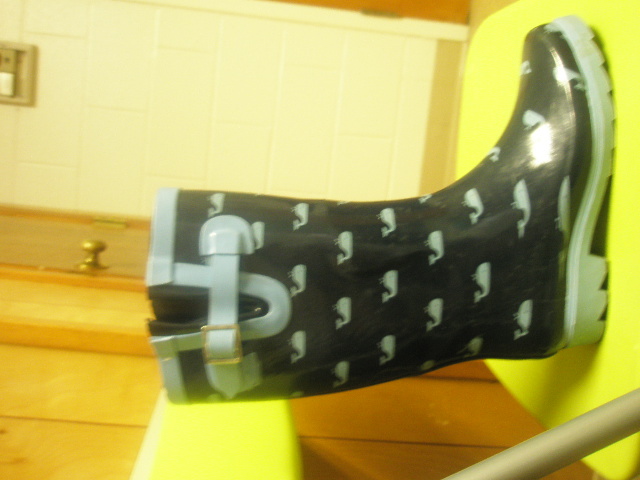 As much as I was willing to pay for Hunter rainboots, I didn’t. 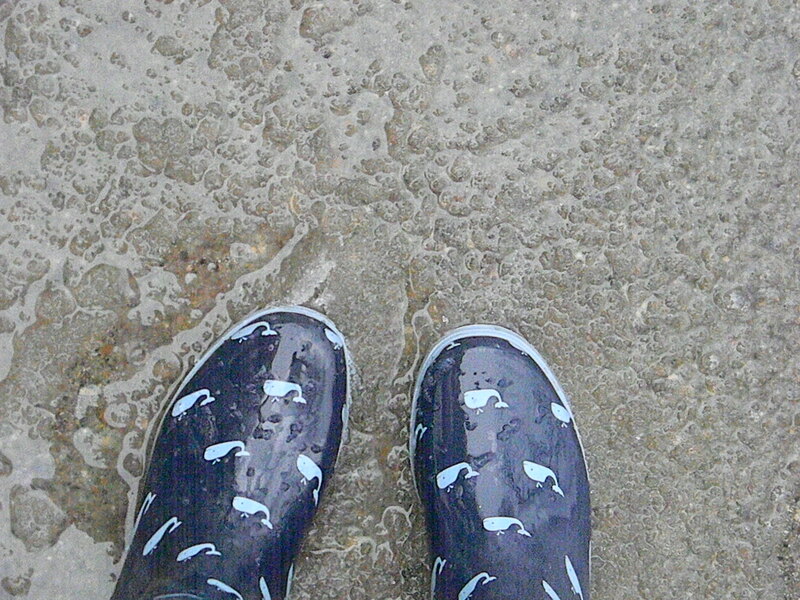 While saving money, I gained far more prep then those classically prep forest green rainboots! These boots are so redic preppy, well at least I think that, but who cares?Not them I am complaining! I adore them! Awkward shot, I know! They are kind of dirty, especially for being rainboots!